Simply while, raw, fresh freeze-dried plants. We Start and End with Whole Herbs – From farm to bottle, we use naturopathic wisdom and innovative processes to create exceptional products. We organically grow or sustainably wildcraft herbs that are harvested at peak potency, and then freeze-dried in-house. Freeze-drying naturally concentrates by removing only the water, leaving the plants’ nutrients in the same balance as found in nature. Whole Food Nutrition – Micronized for easy assimilation, and containing all the natural goodness of the whole plant. No washing, no chopping, no cleaning required – just add to water, juice or food. 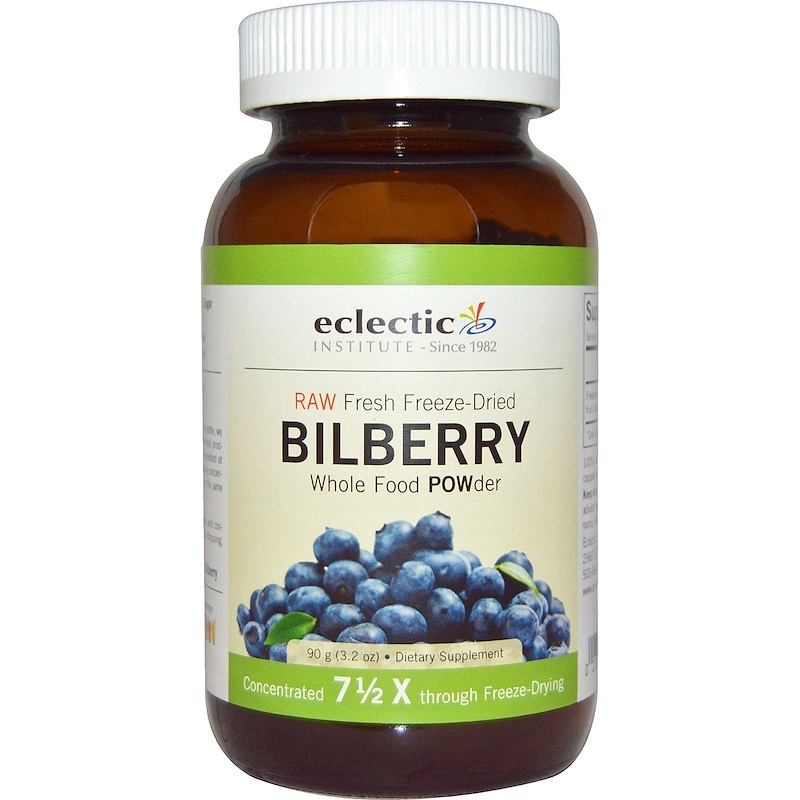 2 tsp of freeze-dried bilberry = 15 tsp of fresh bilberry.